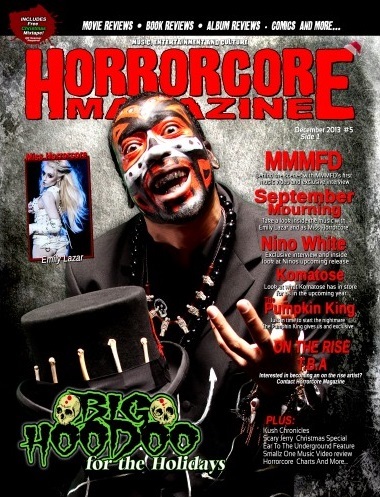 Psychopathic Records very own Big Hoodoo is on the cover of Horrorcore Magazine Issue #5 (Christmas Edition). This issue features interviews with Big Hoodoo, Komatose, Pumpkin King, and More. If you are interested in picking up a copy of this issue, you can order it now for $7.99 at the link below. Wasn’t this already done or was it another magazine he was on the cover of back in June or July? 7.99 is standard price for a magazine these days. Shits insane, “collector” issues run like 15.99 now. They don’t sell em like they used to so the prices have become a bit steep.